I read this article and found it very interesting, thought it might be something for you. The article is called How to Resolve Fights over Reclining Airplane Seats: Use Behavioral Economics and is located at http://evonomics.com/resolve-fights-reclining-airplane-seats-use-behavioral-economics/. Some blame the airlines for cramming ever-more seats into airplane cabins, decreasing legroom and personal space. That is certainly part of the story. But maybe not the entire story—at least one of the incidents involved a United Airlines Economy Plus seat, which has up to 5 extra inches of legroom compared to a standard coach seat. Some blame the Knee Defender, a device that passengers can use to prevent the seat in front of them from reclining. The Knee Defender was used in one of the incidents, but not in the others, and most airlines now ban its use. The leading approach to figuring out questions like these comes from Nobel laureate Ronald Coase. He suggested that if it’s easy to make private deals to distribute scarce resources, then it doesn’t necessarily matter to whom the right is assigned initially. Whichever person values it more will simply purchase it from the other. But note that this is the case only when there are no barriers preventing the parties from negotiating. These barriers, which economists call transaction costs, could include the time and difficulty of figuring out with whom you must negotiate, the resources required to exchange offers and other information, and any other cost that attends negotiation. When transaction costs are high, efficient distributions of the resource won’t take place because people won’t bother to bargain. In those cases, Coase says that the resource should be given to the parties we expect will tend to be the highest-valuing users. It’s not perfect, but if we do it that way, at least we get it right most of the time. Currently, the contested 4 inches seem to be given to the person sitting in the reclining seat. Josh Barro, writing in the New York Times, thinks that this is the correct distribution of the resource. His evidence? No one has ever offered to pay him money to not recline. Urban Institute economist Donald Marron, on the other hand, believes that the resource should initially belong to the person in the rear seat—the reclinee. His evidence? People seem to be willing to pay for extra legroom—between 10 percent and 85 percent more, depending on the length of the flight and how far in advance the purchase is made, in the case of United’s Economy Plus seats. So who is right, Barro or Marron? To find out, we ran an experiment to measure how much people value the ability to recline compared to extra knee and laptop room. It turns out that Barro was right: Recliners wanted on average $41 to refrain from reclining, while reclinees were willing to pay only $18 on average. Only about 21 percent of the time would ownership of the 4 inches change hands. But it also turns out that Barro was wrong and Marron was right. When we flipped the default—that is, when we made the rule that people did not have an automatic right to recline, but would have to negotiate to get it—then people’s values suddenly reversed. Now, recliners were only willing to pay about $12 to recline while reclinees were unwilling to sell their knee room for less than $39. Recliners would have ended up purchasing the right to recline only about 28 percent of the time—the same right that they valued so highly in the other condition. Wait … what? How is it possible that people’s valuation of reclining vs. not being reclined upon depended so completely on which party (recliner or reclinee) held initial ownership of the property right? Shouldn’t the right to recline be worth the same to you whether you initially have it or not? Actually, these findings are not that surprising. According to the work of another Nobel laureate, Daniel Kahneman, these sorts of preference reversals may not be that rare. People generally don’t like losing things that they have. When a resource is provided to them as a default—even something as trivial as a pen—people tend to be unwilling to part with it. As a consequence, the least amount of money they are willing to accept to give it up is often much greater than the amount that they would be willing to pay to purchase the same item. This finding, which is sometimes referred to as the “endowment effect,” has been observed for all sorts of resources, including university mugs, hunting permits, and basketball tickets. We have ourselves run experiments that find that the endowment effect also arises in transactions over intellectual property like poetry, paintings, and photographs. We see the endowment effect doing its work in our airplane study as well. When the default gives a passenger the right to recline, reclining is the most valuable use. When the default gives a passenger the right not to be reclined upon, legroom is the most valuable use. We tried to test the robustness of these findings by including two more conditions in our study which emphasized to subjects that the situation was bilateral—that although they could recline, they were subject also to being reclined upon. We thought that emphasizing that the rule worked both for and against them would increase their empathy and loosen their attachment to the right to recline. But we were wrong: These conditions did very little to reduce the power of the default to drive people’s understanding of what they want. So the Coase Theorem doesn’t get us very far. Whichever party is initially assigned the right will be the one who tends to value it more. Which means that we still don’t have any meaningful guidance about whether a “right to recline” or a “right not to be reclined upon” is the better rule. What should we do? One possibility involves using a better technique for measuring how valuable those 4 inches are to passengers. Perhaps we could determine whether, as Buccafusco believes, recliners are not made as happy by reclining as reclinees are made unhappy by it. We would love to have access to an airplane full of people to run that study. United? Jet Blue? Delta? Virgin Atlantic? Anyone interested in helping us (and yourselves) out? Whatever the answer, though, we are left with the puzzle of why people seem unwilling to bargain over a resource that at least some people are willing to fight over. 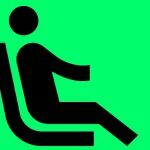 Ultimately, it seems like there are lots of situations when people fail to negotiate over reclining when doing so would make both parties better off. Although these sorts of face-to-face (or face-to-back) interactions are usually thought of as exemplary cases of low transaction costs, there may be aspects of the situation that prevent people from bargaining. Maybe people simply can’t be bothered to initiate conversation with another human being in order to be more comfortable. Another possibility is that people are generally resistant to creating markets for goods that are not normally bought and sold. No one objects to being asked to pay for food at a restaurant, but we suspect that many people would be upset if the host of a dinner party dropped off a check at the end of the meal. Is a resistance to monetization at work on airplanes? Do people simply balk at the prospect of offering or receiving cash for something that seems like it shouldn’t be the subject of a market? Again, we decided to test this hypothesis. In another online survey, we asked subjects whether they would be willing to lean forward and offer the person sitting in front of them $8 to not recline during a six-hour flight, and we asked another group whether they would accept such an offer. More than 68 percent of our front-seaters told us that they would either accept the $8 and not recline, or agree not to recline without taking the $8, just because they were asked. But only about 23 percent of our back-seaters were willing to make the offer. For yet another group of subjects, we substituted the $8 in cash with an offer of a drink or snack (these cost approximately $8 on many U.S. airlines). In that case, 36 percent of back-seaters were willing to make the offer, and 78 percent of front-seaters were willing to accept it. We see two conclusions here. First, our front-seaters seem willing to trade for a lot less money when the value of the exchange is specified and subjects are not simply left to dream up valuation for themselves. This won’t be too surprising to anyone who’s ever visited the Metropolitan Museum of Art. The Met doesn’t charge a set admission price—theoretically, you can walk in for free—but does “recommend” an admission fee of $25 for adults. And $25 is exactly what most people pay. Left at large, the front-seaters in our first experiment demanded $41. But once the value of the transaction was framed by the $8 figure in our second experiment, 68 percent of front-seaters were willing to trade at that far lower price. Our second finding is more surprising. People seem more willing to make trades when the objects changing hands aren’t dollars but gifts of equivalent value. When we analyzed this data, it seems very likely that people are more likely to end up with an efficient distribution of seat space when bartering with booze than with bucks. When the exchange is money, we have successful transactions about 15 percent of the time. When the exchange is a gift of equivalent value, however, we have successful transactions about 36 percent of the time. That’s more than double the number of transactions. From an economic perspective, this finding is just weird. Getting a gift should never be better than getting the gift’s value. If you get the $8, you can always spend it on a drink. But what good is a drink to a teetotaler or a snack to someone who has recently eaten? Further, the airline is taking a cut of the gift transaction but not in the cash transaction. And, of course, the gift market only works when there are gifts available to exchange. But most people are not economists (thank God), and they have some ethical resistance to the idea of making every human interaction into a money transaction. This intuition is probably based on the idea that, in many settings, people are just nicer to one another if money isn’t part of the discussion. So pointing out that gift giving is inefficient isn’t going to stop people from insisting that some transactions should be based on goodwill and gifts rather than cash. If that’s true, and if we are determined to facilitate gift transactions over airline recline space, there are steps the airlines can take. Nobody likes the recent turn toward airlines charging for every service. But maybe what we need is more of that. Most airlines still hand out free drinks, and sometimes little bags of pretzels. Maybe instead they should charge for them and allow passengers to purchase them for one another. Everyone wins. Seat recline space is efficiently allocated. Airlines are marginally further from bankruptcy. And no one gets punched in the face. Thanks to our crack research assistant Christopher Warburton, a second-year law student at Chicago-Kent College of Law, for his help analyzing the experimental data. Christopher Buccafusco is a professor of law at Cardozo School of Law and co-author of Happiness and the Law. Twitter: @cjbuccafusco. 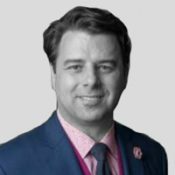 Christopher Jon Sprigman is a professor at New York University School of Law, co-director of the Engelberg Center on Innovation Law and Policy.